“I am proud that we have the largest handbook programme in management of any publisher in the world, with over 100 books and 2000 specially commissioned chapters, and 10-15 new books published each year. What makes Elgar’s handbooks unique is the research focus and, in many cases, the cross disciplinary nature of the topics. We aim to publish handbooks in established fields and in emerging areas but whatever area we choose, the aim is to outline current research and set out a new research agenda for the future. What makes a good handbook? Original, specially commissioned content; a good mix of senior and emerging scholars; a lively debate between chapters and some kind of aspiration to pave the way for future research. We hope that any PhD student would have a dog-eared copy of one of our handbooks, but – in many cases – we aim also for them to be useful for masters teaching and established researchers. In 2013, we are particularly excited about our new handbooks on mergers and acquisitions and sport and management, and later on in the year, we will be publishing a Handbook of Management and Creativity edited by Chris Bilton and Stephen Cummings, and a Handbook Of Research On Promoting Women’s Careers edited by Susan Vinnicombe, Ron Burke, Stacy Blarke-Beard and Linda L. Moore. We have also signed up an exciting new research methods handbook series edited by Mark Saunders at Surrey. 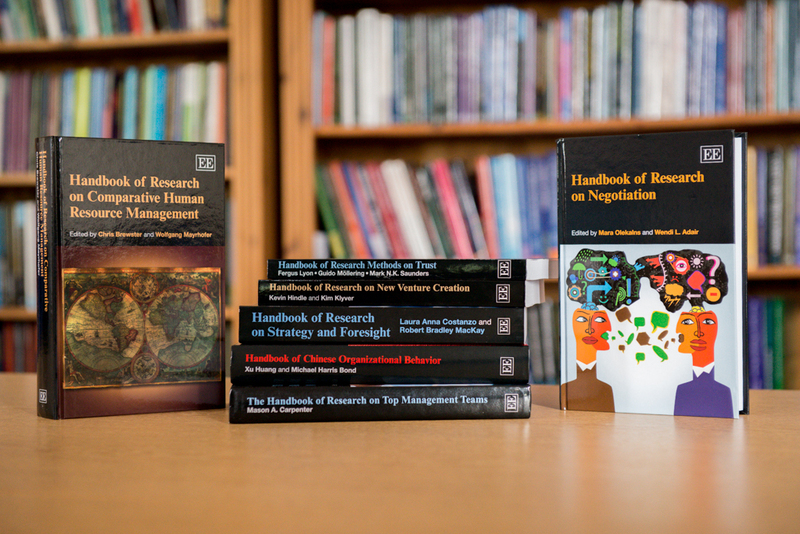 We hope that the books in this series will help make the lives of PhD students in management easier. We consider our handbooks to be a long term investment in the future of books and see an intrinsic value in the series beyond the individual chapters and volumes. On our new online content platform, Elgaronline, it is possible to search and access the entire handbook list. We challenge you to find an area of management that isn’t covered by one of our handbook chapters! We are always looking to commission new research handbooks, particularly in research methods, and in new and emerging areas of management, and we welcome any suggestions researchers may have on areas that are ripe to be set down in handbook form. We are also actively seeking new editors eager to lay their marker down on their field, so please do get in touch should you have aspirations in this area”.